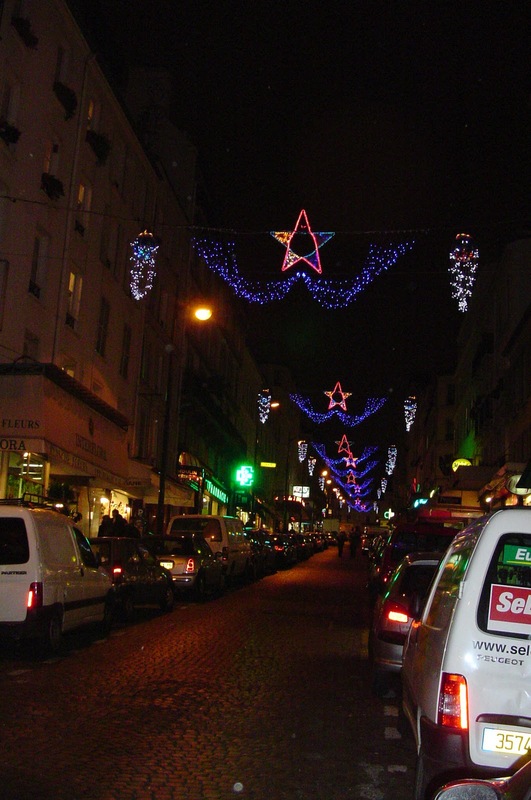 In France, the holiday season is a little bit different than in America, but still very recognizable. Santas listen to children’s wish lists in department stores. Bell ringers shiver by cauldrons to gather money for good works. Christmas trees are decorated and gifts are exchanged. Cards, however, aren’t sent in December for Noël but rather in January, with best wishes for the new year: health, wealth, love and happiness... not necessarily in that order. As to big meals, Christmas Eve - or Day - is when the family gets together around the table. Friends will gather to welcome in the new year with a meal on the feast day of St. Sylvester, La Saint Sylvestre. And what a feast it is! People start arriving around ten on New Year’s Eve and nibble on little appetizers and flute upon flute of champagne until everyone is comfortably caught up with the old year’s events. The meal proper starts around midnight with either an onslaught of oysters on the half shell or sometimes a complete platter of shellfish... or you could just go with the tried and true smoked salmon. That’s followed by the inevitable foie gras, with or without truffles. Then you move on to the fish dish: often a whole fish, poached, such as a turbot or sea bass. After that you come to the plat de résistance: a roasted meat such as turkey or roast beef. Any vegetables served with the meat will probably be either green beans with almonds, or else a pureed something (celeriac, turnips, chestnuts...). 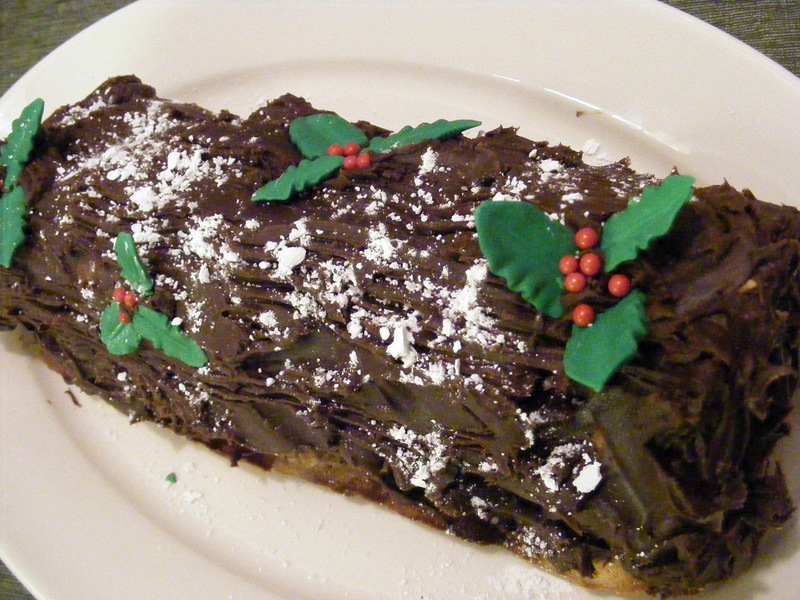 With the finish line in sight, you move on to a salad, then the cheese platter and finally a bûche (Yule log) or other ice cream-based dessert such as a baked Alaska, which they call omelette norvégienne (although I’m not sure it really came from Norway originally). And coffee, of course, as it’s usually about 3 or 4 a.m. by then! Somewhere in all that came the famous trou normand, an apple sherbet a-swim in calvados, a particularly potent apple brandy from Normandy. It is reputed to open up the appetite for the remaining rounds. No mean feat, but it does help. This month’s recipe - bouchées aux fruits de mer - is somewhat like a vol au vent, and a traditional favorite for festive occasions. So try it to start out what I hope will be a very Happy New Year! N.B. The seafood in this recipe is mussels, small shrimp and calamari. If you have a last minute situation, you can use frozen, especially as I already use frozen puff pastry shells. It makes for a delicious yet fast appetizer! - If using frozen seafood, defrost it in advance. - If the puff pastry shells are frozen, follow the instructions on the box so that they are ready when the seafood filling is done. If they’re not frozen, just heat them until they’re golden. - Meanwhile, lightly sautée the mushrooms in butter but don’t let them color more than just golden. - Then poach them, along with the seafood, in the lobster bisque for 5 minutes. Strain them, retaining the bisque. - Melt 2 T of butter. Add 1 T of flour and cook for 1 min, stirring well. Add in enough of the lobster bisque to make a thick sauce. Stir in the cognac and a pinch of nutmeg and simmer for 3 minutes. Salt & pepper to taste. 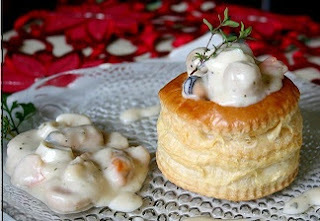 - Remove the top of the puff pastry shells and fill them with the seafood mix. If you have some left over, serve a bit on the side. Serve immediately. Accompany with a dry white wine, such as a cabernet sauvignon or even champagne. I was going to write something Christmas-y, but decided to spend the day with my family instead. After all, over the past twenty years, we’ve been scattered a lot across the globe and Christmas has been sadder for it. So here’s a quick something, a mishmash of memories of Christmases Past. French Christmas for me is part aroma, especially marrons chauds - steaming chestnuts from little pushcarts rigged out with a charcoal burner, meted out with a wooden measuring scoop that varied in size according to the money you held out. Sold in little paper bags, the vendor always popped in an extra one just before handing it to you... to show what good guy he was. Those chestnuts were tasty, and they kept your hands warm, even if they blackened your fingers as you peeled them. 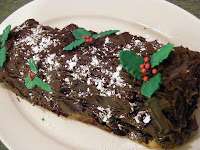 French Christmas is also the amazing bûche de Noël you see in every bakery window, a genoise cake spread with vanilla or chestnut or coffee-flavored cream, rolled up and decorated to look like the Yule log thrown on the fire in olden days to burn through this magic night, even while you’re at Midnight Mass. And speaking of that, French Christmas is the Midnight Mass at Notre-Dame Cathedral, crowded with believers and non-believers alike, Parisians and tourists. But you'd better dress warmly because the cold radiates up through the paving stones and through the soles of your shoes, and the draft that makes the candles flicker magically will also insinuate itself down the neckline of your fashionable décolleté. The first Christmas spent with my newborn December French baby was a magical one. It involved a very small potted Christmas tree, which I gave to friends afterward to plant in their garden. There were no ornaments bought - our budget didn’t allow for that. But we popped some popcorn and strung it together. And decked the tree with my only string of pearls. I found a few candy canes at the pâtisserie, and the corner shop sold one brand of pudding with a twisty thing on the top of the can that opened up into a spiral, cranberry colored on one side and metallic silver on the others. Although we didn’t light them, we festooned the tiny branches with some left-over white birthday candles. Significant Other cut a star out of cardboard and covered it in aluminum foil, and we hung it on the very top of the mini-tree. It was one of the prettiest Christmas trees I’ve ever had. I kept those spirals and the star until I moved, and then they got lost in the move. Or maybe they’re still packed away somewhere in my Montmartre basement. Christmas is a time for family. And for friends who are like family. Christmas is something you carry with you in your heart. I hope all of you had the happiest of all possible Christmases. And that the coming year will bring you "amitié et fortune, amour et santé" - friendship and fortune, love and health. 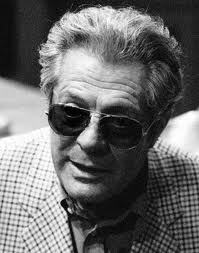 On December 19, 1996, Italian film star Marcello Mastroianni died in Paris of pancratic cancer at age 72. That was 15 years ago. This article was written then. I was lucky enough to have met him several times because our children attended the same Montessori school. Nothing but blind luck, to which I'm eternally grateful for allowing me to see what a warm, simple man he was, a delight to be around. Paris is an international city. It tosses together people from many different countries and professions who wouldn't normally meet. Especially if you are half of an international couple and have children with dual citizenship, in which case you seek out an international school, preferably bilingual. That in turn brings an even tighter circle of cosmopolitan opportunities to move outside of what would be your normal circle of acquaintances. I was lucky enough to find a bilingual school for my children. And along with the education they got, and a fluency in both French and English that has opened doors to them, I had the great honor of meeting many wonderful parents. One of them was Marcello Mastroianni. I saw him many times picking up his daughter, or perched on the uncomfortable chairs designed for the Seven Dwarfs that we always had to sit on at Parents' Nights. Mastroianni always sat there graciously, just another father concerned about what his daughter was experiencing all day and how well she was doing. He listened attentively, asked very few questions, and slipped out unobtrusively when the socializing began. He didn't have to come. The school would have given him a private meeting any time. But he did come. Just another parent. I was alone with him only three times in those nine or so years, but each indelible moment in his company was illuminated by his gentle, ironic humor and contagious smile. The first time was during an Observation Morning. The principle was to sneak up the back steps and hide in the kitchen. The hatch for passing food into the classroom had been raised about six inches and a few potted plants strategically placed in front of the opening. The lights were left off so that we could see the children, but they couldn't see us (although I suspect some of them caught on). Only one set of parents was allowed to sign up for a given date. Being a one-parent family by that point, I climbed the stairs alone and picked my way among the carving tables and suspended cooking pots to take up my post. A stool had been thoughtfully left for me, so I sat down and started spying through the hatch, between the potted plants, fully expecting to have the whole place to myself for the hour. Suddenly behind me I heard a resounding whisper, hushed but unmistakable. Marcello. He must have been passing through town and so had been slated in with me. For one hour I sat there staring through the crack in the hatch, cheek to cheek with one of the handsomest men in the world. At first it was hard to keep my mind on why I was there, but he soon made me feel at ease. We whispered back and forth, marveling at our respective children, and cross-marveling at the other's. Several times I offered him my stool, but he refused graciously. At the end of the hour, we picked our way back through the pots and pans and down the narrow steps. He offered to drive me to my next appointment. And here I make a confession. Although I have never in my life been what could be called a groupie, I took him up on his invitation. The chauffeur opened the door, I made up a destination across town in the general direction he was going, and off we drove. He was a natural conversationalist, fluent in both French and English in addition to his native Italian. That morning he had eyes only for his daughter. I can still hear that lovely accent: "You understand. I am an old man. My life is finished. Ma... here is this beautiful child who looks at me and says "Papa!". Two tears rolled slowly down his cheeks. And he wasn't acting. We got to my "destination", he helped me out of the car, said he hoped we'd meet again, smiled and drove off, waving out the back window. I hailed a taxi to drive me back to the school to pick up my car. He never found out it had been parked right outside all along. The second time was not designed to raise his opinion of my taste in attire. I was at home, cleaning the house, in the usual attire for that job: old jeans and a sweatshirt, hair tied back any old way. The bell rang downstairs. As my daughter was being brought home after school with Mastroianni's daughter, who was invited to play (or maybe it was to stay overnight, I don't remember), I pushed the buzzer and opened the door for them. Expecting them to arrive with the au pair girl, I left our front door open and went back to scrubbing the toilet bowl. Not very poetic, but there you are. I heard the two girls chattering back and forth as they climbed the stairs, then suddenly... that same unmistakable voice. Marcello. He popped his head around the corner, and there I stood, toiletbrush in hand, looking like something the cat dragged in. He smiled at me as if this were exactly what he expected, but I hope it wasn't, then came in to kiss his daughter good bye. I invited him to stay for coffee, but he declined politely and again disappeared with a smile and a wave. The last time we met I was betrayed by the natural pandemonium that reigned in our home, as in many single-parent working-mother homes, aided by my wreck of a car, whose front windows never rolled down again after a particularly nasty ice storm that froze them permanently closed. One day I went to school to pick up the kids (my son was part of the act by that time). It was hot and the rear windows, the only functioning ones, were rolled down. There were still crumbs from the breakfast croissants all over the back seat. No sooner did I get inside the school but I heard... Marcello. It was his daughter's birthday and he wanted to take her for a movie and a pizza. Not deterred by the toiletbrush incident, he smiled and asked whether my two children could please come along. I said yes and offered to drive them to the theater, as it was almost curtain time. Then I remembered the broken windows and crumbs! Too late! As we walked to my wreck, all three children dashed ahead and proceeded to leap in through the open back window. We got in and I sheepishly drove off, complete with broken windows and crumbs. Ever the gentleman, he didn't blink. It could have been a Rolls. My son upheld our family's reputation as eccentrics by pinching all the waiters in the pizzeria on the bum. In his defense, I might point out that he was only four. Instead of throwing them out, all the waiters laughed. What else could they do? He was with Mastroianni. And Marcello was laughing louder than anyone. Marcello Mastroianni was undeniably a great actor. But he was also a warm man, a natural gentleman, and a loving father. A very private person, and one who deserves a private tribute. For me, he will always be that father sitting uncomfortably on the child-size chair at the parents' meeting, a smile on his face and a friendly word for all us fellow parents. So thank you, Marcello, for all the joy you brought to my family. You will be missed. "I don’t speak French," my American friend told me. "I’ll come visit you in Paris if you come pick me up in London." So I did. And there was no EuroTunnel then. Just two trains and a ferry. At the B&B behind Waterloo Station, there was an unpleasant Frenchman who came down to breakfast in his PJs and bathrobe, much to the chagrin of his wife. He refused to sit at his assigned table, although Embarrassed Wife was already buttering her toast there, and he moved them both to what he considered a more suitable table. My friend and I looked on. Later, when we were ready to check out, we found the owner talking to Mr. Horrible through the door, repeating, slowly and loudly, "Are you staying the night?" He kept muttering "Comprends pas" from behind the closed door. After the poor patient woman’s third attempt, I went over to her side and translated, through the door, in accentless French, "Elle veut savoir si vous restez la nuit." After a pregnant pause, the door opened and he excused himself to me, stammering No, he wasn’t. And merci. I tell you this story only to say that people have trouble with foreign languages. When I reached Paris with a French degree in my pocket, I took a furnished apartment. The only can-opener it had was what military personnel call a John Wayne, one of those little foldable triangles that you’re supposed to be able to clip over a lid and sashay it around until the top opens. Never could get it to work. But I was undaunted. I had a degree in French and there was a quincaillerie, a hardware store, just down my street. The bell tinkled as I went in, the man asked what he could do for me. "I would like... I would like..." Suddenly I realized, with horror, that I knew how to discuss Montaigne’s essays and could dissect the plays of Corneille or the existentialism of Sartre and Camus. But I had no idea what "can-opener" was in French. That hadn’t been part of the curriculum. Still only mildly undaunted - I had a college degree in French, didn’t I? - I decided I should just tell him what I wanted it for: to open a can. So I switched gears, smiled and said, "I want to open... I want to open..." And then it became clear that I didn’t know the word for "can". A boîte was made of paper or wood; a bouteille was glass. What was metal? No idea! But I knew the word for "peas", so my only option was to swallow my pride and say, "I bought some peas and I want to open them" while miming the appropriate gesture. "Ah, un ouvre-boîte!" he exclaimed. And sold me one. I’ve never forgotten that word. Many people tell me they don’t speak French. They wouldn’t have gotten as far as I did with my hermetically-sealed can. And yet... there are a lot of French words running around our English-speaking world. There’s rendez-vous, which means a date or an appointment. There’s RSVP, which people know means you must reply to an invitation... even if they don’t know it means "Répondez s’il vous plaît". You might know a two-income family who has an au pair to take care of their children during the day or someone who was one abroad. There are terms of diplomacy, such as détente and entente cordiale, chargé d’affaire and carte blanche. There are military terms such as aide-de-camp, and also esprit de corps, although I think that’s used less nowadays. People who are ahead of their time in any field are said to be avant-garde. And you can call someone who tripped over their own feet gauche. If someone doesn’t know which one is the shrimp fork at an elegant dinner and eats with their fingers, you can say they made a faux-pas. If you meet an attractive blonde or brunette, you might say they had a certain je ne sais quoi and send them a billet-doux or maybe a bouquet. Or if you were a historian, you might study coups in foreign countries. Or in earlier times, look for the power behind the throne with a debonnaire cry of "cherchez la femme!" Unless you’re just too blasé, of course. 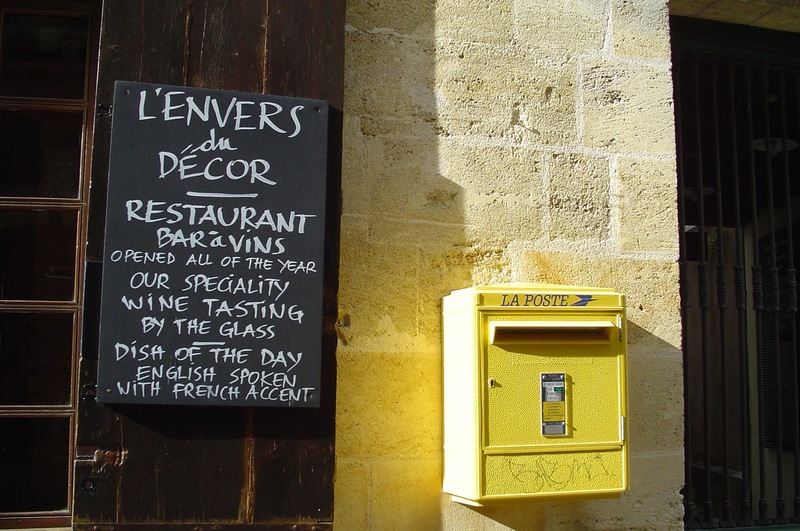 In the world of cuisine (itself a French word), the French language is omnipresent. Your meal might be preceded by an apéritif. After that you could order à la carte, meaning anything on the menu, such as potatoes au gratin, if there’s grated cheese on the top. And many people eat their pie à la mode, which doesn’t really mean "with ice cream", but rather "in the fashion of..." Or you might find a roast beef sandwich au jus, which is a term I never heard in France because they don’t use it any more. And you might polish off your meal with some chocolate éclairs. If you are very cultivated, and not just a bourgeois, you might have furnished your home with an armoire or a bureau. You might choose to flop into a chaise-longue to nurse your ennui after a hard day at the office studying dossiers submitted by various entrepreneurs. Then you would splash on some eau de Cologne or eau de toilette, slip on your haute couture dress and put your hair up in a chignon and your chauffeur might drive you down your cul-de-sac to the ballet (and yes, that is French) or to a soirée or to the movies to see a cinéma vérité in black-and-white. And when you return home hungry, you might dip into your cache of chocolate bonbons. All of which is very chic. Well, I’d better end my chef d’oeuvre there. As you can see, there’s a lot of French running around in the English language. But en garde! I’ve only gotten to the letter "e"! ﻿﻿﻿﻿ ﻿﻿﻿It works both ways. Sometimes you find English inside French, too. 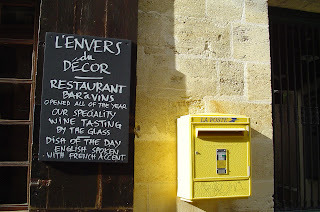 As it's getting on to Christmas (or Your-Holiday-of-Choice) and I'm behind in my wrapping of presents and writing of cards, BUT as I want to keep up a certain rhythm here in Sandy's France, I've decided to cheat and post a few old articles published over the now not so recent past to keep the flow going. I hope you don't mind and will find them interesting. Stay tuned for new stuff, because it'll be in here. Just as soon as I become disentangled from all this gift paper, Scotch tape and colored ribbon. Here's one from July 1999, when I was minding my own business, visiting the Louvre Museum, when all of the sudden... Bells went off, massive doors swung shut and we were all locked in. Being the curious sort, and already free-lancing for a newspaper, I set out to find out what was going on. And this is what I learned. PARIS - A painting by the French artist Corot was stolen today from the Louvre Museum in Paris, and thousands of people were detained as police attempted to search all visitors. The painting, "Le Chemin de Sèvres", was taken from its frame in a small room on the second floor of the Sully Wing around noontime, but the theft was only reported an hour and a half later. Visitors in the immediate area were searched, then allowed to continue their visit. The decision was finally made to close all exits to the museum shortly after two o'clock and the 20,000 to 30,000 visitors who had taken advantage of the Louvre's free admission Sunday were blocked in the vast Pyramid entrance hall. After nearly an hour and a half milling about with no explanation broadcast, the crowd turned angry and tried to force its way through the police line barring the stairs to the exit. The police shouted for people to move back after two small children were nearly asphyxiated. Fearing an incident like the Heyssel stadium in Belgium, where soccer fans were crushed to death by the crowd, officers then began lifting children to safety and escorting older and ailing visitors outdoors where medical units, including a reanimation van, were waiting to treat them. Shortly after that visitors were funneled up the stairway leading out of the Pyramid and searched one by one by reinforcements called in. Meanwhile Room 66 was cordoned off as police detectives searched for clues and museum curators were called in to assess the damage. One museum expert reported that fibers had been found on the empty frame, but no suspects were arrested and by 5 o'clock, with the picture still missing, the last of the visitors had been evacuated. "These people were very organized," a museum official said. "They found a loophole in the system." Orders went out for all museum guards to remain on the job and search the miles of corridors that are home to one of the largest art collections in the world. The museum will probably remain closed at least through Monday as the search continues amid hopes that the thief was unable to spirit the painting out of Louvre and it is still hidden somewhere on the premises. Jean-Baptiste Camille Corot is one of the most famous French painters of the 19th century and a founder of the Barbizon School of artists. The stolen canvas, worth several million francs, was a landscape of Sèvres, one of the cities just outside of Paris. This is the most valuable painting stolen from the Louvre since the Mona Lisa went missing several years ago. It was later recovered and is now on view behind glass, unlike all the other paintings in the museum. arrested in 2001 for the theft of 230 paintings and objets d'art from European museums during an 8-year spree. And then released in 2005 after serving four years in a Swiss prison. French newspaper Libération revealed that in a letter Breitwieser wrote from prison, he says he is the one who stole the Corot from the Louvre, but doesn't say what happened to it or where it is. Just that it is one of 50 thefts he committed in addition to the 230 that he confessed to. But it's one that he doesn't include in his 360-page memoirs, Confessions d'un voleur d'art (360 pp., Ed. Anne Carrière, 2006). Victor Hugo's "Notre-Dame de Paris"
When you travel in France, there’s always a little jewel that you discover. On my last trip to Lyon, I stumbled upon two lines in a magazine about a Musée des Automates, a museum with automated... automated what? They’re not toys. And they’re not puppets. But they are amazing and amusing. As this museum was just across the river from Brasserie Georges where I had lunch, I walked across the footbridge and hunted it out in the maze of medieval streets of Old Lyon. You could easily walk past it because it looks just like so many other shops on the rue St. Georges. But inside it’s warm and bright, an atmosphere created by some Geppetto-like craftsman who loves to tinker with figures and make them come to life... and then can’t bear to part with any of them. It all started after the war, in 1946, with two men who made these little figures to be sold or rented to store owners for their window displays. Then, in 1991 - maybe when all these little folk came back home to live, like college graduates - the museum was created. There were only four rooms then, but the craftsmen kept turning out these "little people", who took on a life of their own. The result is 250 automatons bringing to life 20 different scenes, many from movies or historic events. Everything moves, down to the smallest detail. There’s Mozart’s Enchanted Flute and Millet’s Angelus, for the culturally-minded among the visitors. Literary figures include Gargantua and Victor Hugo’s Notre Dame de Paris, complete with Quasimodo, Esmeralda and her dancing goat. Movies are well represented too, with Peter Pan and Pinocchio and Pagnol’s card game. Plus there’s a circus. Many of the scenes have a little touch of humor - a crocodile that moves in and out of a cave to attack Captain Hook or a tiny mouse that hides in a huge Swiss cheese as a worker drills the holes in it. And of course there’s Guignol, the puppet created here in Lyon and who now entertains children in puppet theaters across all of France. ﻿ The "little people" chortle and whirr as visitors wander through the seven different rooms. 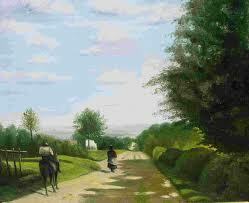 Some scenes are more obvious to the French, but they all can be enjoyed. Harvesting wheat or grapes or making bread or hams or silk can be understood by everyone. And only the parents would care about that anyway; the children are just enthralled by the "moving little people", as one child called them while I was there. It’s a fun hour, especially on a rainy day - which mine was. And it helps to keep the Child Within You alive. P.S. On the way out, you can make some child infinitely happy by buying an animated music box. There are even some that would be suitable for adults. Now here’s a strange name for such a delicious chocolate treat: mendiant, which means beggar. Like most things, there’s a story behind it. In the 13th century, after the Crusades, the Roman Catholic Church created four mendicant orders who relied totally on charity, like Buddhist monks. They were beggars of sorts. Then someone made a chocolate and called it mendiant, and decorated it with fruit and nuts chosen to stand for these four orders. There were dried figs for the dark brown robes of the Franciscans, hazelnuts for the reddish brown of the Carmelites, almonds for the white Dominicans and dark Malaga raisins for the black Augustinians. Eight centuries later, people are far less religious. Although most of the French are born, baptized, wed and buried in the Catholic faith, these may be the only four times they attend church. For most of them, the connection with the monks has been lost. But they still love these sweet decorated disks of chocolate (sometimes white). They’re as much a part of Christmas in the south of France as the three Rois mages (Wise Men), and are served as the last course in the traditional Christmas meal of Provence, one of the "13 Christmas desserts" mentioned in the works of native son Marcel Pagnol. In America, it seems to me this would be perfect for trick-or-treat. After all, the children are begging. But we’ll remain traditional and make them in December, either as holiday gifts or to end a festive meal on Christmas Eve or Day. Besides, the decorating is a fun thing to do with children over the school holidays. 8 oz (225 g) of high-quality dark chocolate (at least 60% cacao) - Valrhona is an excellent chocolate for making these mendiants. Ghiarardelli is also good. But even Baker’s will work. Just make sure it’s dark chocolate and at least 60% cacao. If you want to branch out a bit, you could use fruit other than figs, such as dried apricots, dried cranberries, and crystallized ginger or fruit peel (orange or lemon). And if you don’t like hazelnuts, try pistachios or walnuts (either whole if you’re making big mendiants, or walnut pieces for smaller ones). The trick is to mix and match the colors, shapes and textures. Prepare the toppings in advance. If you’re using many, you can use a muffin tin to organize them. You’ll need a work surface to drop the chocolate on. A marble slab is very professional, but not absolutely necessary. A smooth, cool surface will do. Or even parchment paper. But NOT plastic wrap or aluminum foil. - Cut your chocolate into smallish pieces and melt it in a bowl set over a small saucepan of hot water on low heat (a bain-marie). Stir it while it melts. Don’t take the microwave shortcut because that often gives the chocolate a dull color and a mealy consistency. - When the chocolate is melted, take it off the heat. Let it cool until it feels pleasantly warm to your finger. That’s the right temperature. Drop small spoonfuls onto your surface. Shape them into round disks. 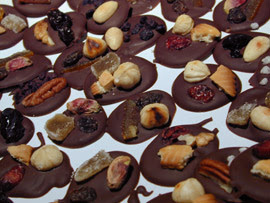 - After you’ve made a few, and while the chocolate is still soft, decorate them with the nuts and fruit, so they stick to the surface. Before making more, check the temperature of the remaining chocolate. If it’s gotten too cold and started to set, just put it back over the saucepan of hot water and stir for a bit. - When you’ve finished a batch, let it rest until the chocolate is completely set. Then you can lift the mendiants carefully off the sheet. Meanwhile you can make another batch. Some people go all high-tech about melting chocolate and have special chocolate-making thermometers. If you’re that way, you’ll want the chocolate to reach 120°F (50°C). Bring the temperature down quickly over an ice bath to 80°F (27°C), then warm it back up to 88°F (31°C). That’s "The Right Way". But you can pretty much do it with the naked eye and a fingertip. The only thing you may lose is a bit of sheen to your chocolate.